The proposed US Research Works Act (RWA) proposes to prohibit government funding agencies, such as the NIH, from doing things like its open access policy (enacted in 2005) requiring all publications from funded research to be placed in National Library of Medicine’s PubMed Central database within 12 months of publication. Not surprisingly, some publishers, notably for-profit publishers, are supporting the legislation. The most vocal of these is Elsevier, the largest and oldest academic publisher in the world. This week, an important set of scientists began a boycott of Elsevier (what I have termed the ‘exit’ approach). Fields medalist, Tim Gowers, started the push with this blog post. Interestingly, Gowers argument is a pure economic one. Elsevier charge too much for journals and then engage in a variety of tactics — including support of the RWA — that are designed to make it harder to people to counter their market power. He argues that a boycott is needed to keep that in check or to at least make it easier for academic institutions to resist Elsevier. In the week following, lots of scientists and mathematicians have followed Gowers in making a pledge not to support Elsevier by publishing, editing or refereeing. The list of 451 (as of the writing of this post) is available here. Our support for the Research Works Act comes down to a question of preferring voluntary partnership with government agencies and other funders to promote access to research works, rather than being subjected to inflexible government mandates like the NIH policy, which don’t take into account the needs of different journals. One of Elsevier’s primary missions is to work towards providing universal access to high-quality scientific information in sustainable ways. We support the bipartisan bill, which seeks to prevent US government policies, like the one imposed by the NIH, that mandate the dissemination of journal articles published and funded by the private sector. Elsevier and other publishers have embraced and nurtured a whole range of access options to ensure broad dissemination — author pays journals, delayed access, manuscript posting, and patient access, to name a few. We’ve worked constructively with a number of government agencies to develop new ways to expand access to journal articles reporting on, analyzing and interpreting agency-funded research. But like other publishers and societies we have always opposed the adoption or extension of the NIH policy, which restricts the author’s freedom to choose where to publish and undermines the sustainability of journals published by the private sector. The legislation is an effort to prevent such unsustainable policies. And here is another Elsevier explanation. Notice that, in each case, they are claiming it is about rights. Specifically, Elsevier want decisions on open access to include their agreement. The NIH mandate supposedly takes that away. But does it? I don’t think so. Elsevier could make it a condition of publication that they have to agree to any open access. That means that a publication based on NIH funding could not publish with Elsevier unless, at the time of publication, Elsevier agreed to open access. In this situation, there is no risk that Elsevier makes an investment in a publication that it can’t recoup. Put simply, if recoupment requires it to negotiate open access and perhaps be paid for it, then if that deal isn’t struck, no article is submitted or published and so no investment is made. Now, of course, it is not as simple as that. Elsevier will argue that this makes it a choice for researchers between having NIH funding or Elsevier publication rather than having both. That raises the costs to scientists of dealing with Elsevier and they may choose not to do so. But, isn’t that interesting? Elsevier claim they are investing and doing all manner of stuff that improves the dissemination of research — making it easier to access and also providing scientists with greater visibility. These are things that are surely of value to scientists. But then, at the same time, they are claiming that in the potential choice between accessing all of that and receiving NIH funding, the scientists don’t think the Elsevier deal is worth it. In other words, if Elsevier can’t recoup their investments with open access, but those investments are really valuable to scientists, scientists don’t think so. From an economics perspective, on Elsevier’s own assumptions, they shouldn’t be making these investments. And note that, without the economic efficiency case for these investments, their case for the legislation falls away. That is, Elsevier are claiming that the NIH policy prevents them from making investments but, as I have argued here, the very reason those investments are prevented is because scientists would choose not to take advantage of the benefits of those investments. Now it may be the Elsevier might claim that the investments it makes in journals depend on scale and the problem it faces by declining publication to NIH open access research is that it will not generate sufficient scale to justify those investments. As it turns out, Doh-Shin Jeon and Jean-Charles Rochet put that argument to rest a little while ago: journals who maximize profits invest in too little quality relative to one that was maximizing social welfare. In their argument, a for-profit journal will end up putting in too many low quality articles so as to increase the fees authors pay for things like open access. Broadly speaking, for-profit publishers think alot about the costs of publication and too little about costs imposed on readers (like sorting for high quality papers). 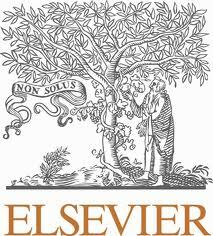 The scientists who are boycotting Elsevier are basically saying that they will not contribute to increasing the quality of Elsevier’s journals. Open access to articles in journals contributes to their quality too. In both cases, it is quality that has to be paid for. But open access is cheap if the scientists are providing the other stuff for free.